An event "Get Funded"- Accelerated path to Investor Funds will be hosted on 10th November in Andhra Pradesh. 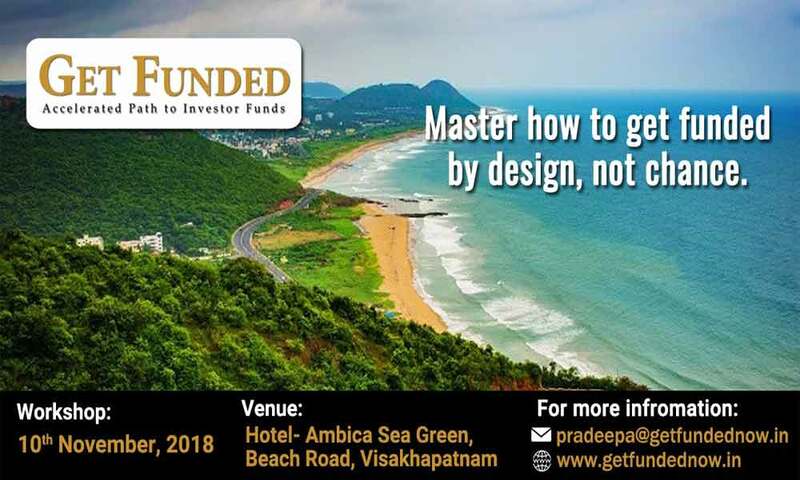 We are organizing an Event named “Get Funded” in Visakhapatnam. This event will help to seek the right investors for your business. This workshop session will live on 10th November. This program helps business owners to understand the strategies of the financial markets. The program is a solution for all your questions on How to get Funded, Who to go to, When to go, Where to go and more importantly, How to prepare. We accept your queries at 8885135575 or ram@natiocultus.com.